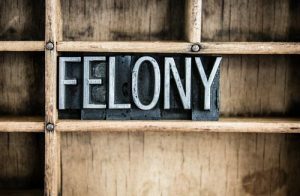 If you were charged with a felony of any kind, it’s important that you reach out to a seasoned defense attorney as soon as possible. The penalties associated with felony crimes are harsh and can include jail time (up to life), heavy fines in the tens of thousands of dollars, probation, community service, the loss of your driver’s license, and a permanent criminal record that will haunt you for the rest of your life. Felonies charges can be beat, but it takes an experienced lawyer who isn’t afraid to be aggressive in the courtroom to defend you. While calling a lawyer as soon as you are arrested is critical, you don’t necessarily have to wait until you are arrested to contact a lawyer if you know you’re the subject of an investigation or law enforcement has been asking you questions in connection with an alleged felony crime. You can contact an attorney as soon as you know you are a suspect, so your rights can be protected and advocated for from the very beginning. Do You Need a Defense Lawyer for a Felony Charge in Hampshire County? At the Law Offices Criminal Defense Attorney Thomas Kokonowski, we also provide defense against felony crimes in all of Hampshire County. Contact us today.